The RBC Avion Infinite card is Royal Bank’s premium card offering. While I have commented on this card many times before, I thought I would put together a card review now that the value of this card has changed dramatically during the first quarter of 2016. There is an annual fee of$120 for the card, which can be waived if you bank with RBC. Assuming you bank with RBC, then this is a good card to get. If you do not bank with RBC, the analysis of whether this card is worth the annual fee requires some more consideration, given what else is in the marketplace. The RBC Avion is a travel oriented card, where you earn RBC Rewards that can be transferred to frequent flyer programs or be used for redemption based on a travel schedule. The best frequent flyer programs that you can transfer your RBC Rewards to are American Airlines and British Airways Avios, both of which have severely devalued (especially for Canadians) in the first quarter of 2016. Both of these programs (American and British Airways) get access to the same set of award space on planes. So if you can book the flight using AA miles, you can also book the same flight with BA Avios. Having a currency that can transfer to both is valuable as you can see which currency will be cheapest for your route and book accordingly. For example, Toronto-New York used to cost 4500 BA Avios / way or 12,500 AA miles / way. If you were targeting this route, you would transfer to BA Avios. Alternatively, Vancouver-Dallas-Istanbul during off peak would be 20k AA miles, but 40K BA Avios. Having options can save you money. Prior to the devaluation of these 2 programs, I would have considered this card the best and only way to earn valuable American Airlines AAdvantage miles, with a great option to transfer to BA Avios should that work out more favorable. However, the value of AA miles has dropped for many Canadians with the award chart change, that I believe this card is now primarily valuable for its air travel redemption schedule instead of its frequent flyer partners. Further to that, I believe that if you are targeting the Air Travel Redemption Schedule, you are treating this like a cash / fixed value card. In that situation, you would be better off earning a (likely) better, but less fluctuating 2% return from a card such as the MBNA World Elite or others. The RBC Avion earns RBC Rewards, which are the proprietary points of RBC. The RBC Avion Infinite earns 1 RBC Reward for every dollar spent on the card. Furthermore, purchases on travel related purchases (hotels, flights, car rentals etc.) earn an extra 0.25 RBC Rewards per dollar for a total of 1.25 RBC Rewards per dollar in those categories. There are also bonus points earned for purchases through the RBC eMall, which is just a shopping portal, and additional points for purchases made at partners, such as Thrifty Car Rental and Carlson Wagonlit Travel. In general, I don’t put much value on these as I find they are easy to replicate with portals such as GreatCanadianRebates or eBates. Though it is not clearly noted, there really are 2 types of RBC Rewards, and the value of your rewards is really based on your best product with RBC. The RBC Avion Infinite card is one of the upper tier products. All RBC Rewards (regardless of how they are earned) in an account that has an RBC Avion card associated with it will have the best redemptions. While there is still a lot of value to be had in the RBC Avion, my personal thoughts are that the earning rates are too low for the value that RBC Rewards will give most Canadians. I believe that if you know which of the transfer options you will be interested in redeeming for, you can do noticeably better by getting the card to earn those directly. In other words, you are paying a lot for the option value. As mentioned, RBC Rewards are designed to be redeemed for travel. There are a few ways to use yoru RBC Rewards for travel, with the best being transfers to frequent flyer programs. The only frequent flyer programs that will allow you get any outsized value (ie more than 1 cent / RBC Reward) are going to be British Airways Avios and American AAdvantage. Any other options (ie WestJet Dollars) are poor value and if you are transferring regularly to Westjet dollars then you should consider a different card. In addition to the frequent flyer programs, you can use your points to pay for travel outright based on the schedule. Unfortunately, the schedule limits the value you can get and does NOT include the taxes. Those can be paid separately as a regular charge to your card or can be paid with RBC Rewards at a rate of $1 of taxes = 100 RBC Rewards, which is an awful use of RBC Rewards. If the flight you are interested in purchasing happens to cost above or near the limit of the zone in the schedule, you can return up to 2.3 cents / RBC Reward. I think a more realistic average redemption would be around 1.7 cents. If a Toronto-Calgary off peak trip costs $500, which is $450 fare and $50 taxes. You would be redeeming 35000 RBC Rewards for $450 (the fare portion) in value, or 1.28 cents / RBC Reward. This would be a very poor redemption. If a Toronto-Vancouver peak trip costs $850, which is $800 fare and $50 taxes. You would be redeeming 35000 RBC Rewards for $750 (the fare portion) in value, or 2.14 cents / RBC Reward. This would be a great redemption. The annual fee on this card is $120, with additional cards costing $50. This fee is waivable if you bank with RBC and have one of their upper tier banking packages. Unfortunately, I have not been able to find a way to get the banking fees for those packages waived. The cheapest way to get a banking package which will cover the fee on the RBC Avion would be to get the RBC Signature No Limit Banking Package. This package carries with it an monthly fee of $14.95. That translates to $179.40/ year. In this situation if you do not value banking with RBC, you would be better off simply paying the fee of $120 for the RBC Avion, if you were getting it. The RBC Avion comes with a 15K RBC Rewards sign up bonus. I value the RBC Rewards in the range of 1.6 to 1.7 cents each, so I would put the value of the sign up bonus around $250. Note that you would have to pay the first year annual fee so if you are getting this for the sign up bonus, you would be buying 15K RBC Rewards (I value at $250) for $120 in annual fee. The main issue with the RBC Avion card is that it can be replaced and / or the return beaten by other cards. In general, the RBC offers many options, but offers a lower return for those options. 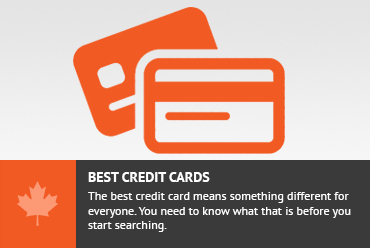 If you know in advance what you are targeting as your reward, you can do better getting the card that earns that specific currency. I’ll do the comparison based on the redemption the cardholder is seeking. If youa re seeking AAdvantage miles, then the only way to get them is via the RBC Avion card. This card is the best and only option for AAdvantage mile earning in Canada. If you are trying to earn British Airways Avios, then it would be wise to consider getting a American Express Membership Rewards earning card. Membership Rewards transfer to British Airways 1:1 and often have transfer bonuses of 1:1.35, just like the RBC Avion / RBC Rewards programs. Comparing cards, the American Express Premier Gold rewards is probably the most compariable. The Amex gets 1 Membership Rewards / dollar spent on all purchases, just like the Avion. The bonus categories are much better in the Amex. For travel purchases, the Amex gets 2 Membership Rewards / dollar instead of 1.25 that the Avion gets. The Amex also gets bonus Membership Rewards for gas, grocery and drug stores. The sign up bonus is better with the Amex (25K and first year free) vs the RBC Avion (15k, no first year free). But the annual fee is more with the Amex ($150) vs the Avion ($120). The kicker here is that Amex acceptability is not as much as the Avion, which is a Visa. I think you would earn more British Airways Avios if you carried the Amex over the RBC Avion. See American Express Premier Gold Card Review. I think that any other redemption is going to be better with one of the best fixed value or cash back cards. My thoughts would be the MBNA World Elite, which earns 2% cash back on every purchase and you can use that whenever and however you like. The RBC Avion, while you may get slightly more than 2% with the travel redemption schedule, is much more restrictive in how you use those rewards. With a lot of spending on gas and grocery and restaurants, you may also do well with the Scotiabank American Express Gold card. If you are spending a lot of money on travel, then you might be good to get the TD First Class Visa Infinite which gives 4.5% return towards travel booked through Expedia for TD. The annual fee is also waivable on this card, if you bank with TD (and TD fees can be waivalbe too). Also the PC Financial World Elite Card gets 3% towards groceries for bookings made through their travel agency, along with 3% towards groceries on other purchases as well. There is no annual fee on that card. The benefits on this card tend to be the standard insurance packages offered on most upper tier cards. I haven’t found any specific insurances or benefits that are noteworthy on the RBC Avion card. The RBC Avion card is a great card for people who bank with RBC and get their annual fees waived. This is a no brainer for people in that situation. For people who are going to be paying the annual fee, there are other cards that will rival this one. The RBC Avion gives multiple options for redemption, but the lower earning does not compensate and I personally believe that the cost of that option is too high. For many people, though, the card will provide good value. Don't subscribe All Replies to my comments Notify me of followup comments via e-mail. You can also <a href='https://www.creditwalk.ca/comment-subscriptions/?srp=4665&srk=2648578ecea05c83754707575dc5a494&sra=s&srsrc=f'>subscribe</a> without commenting.